You have been instructed by your boss to plan the annual company outing? 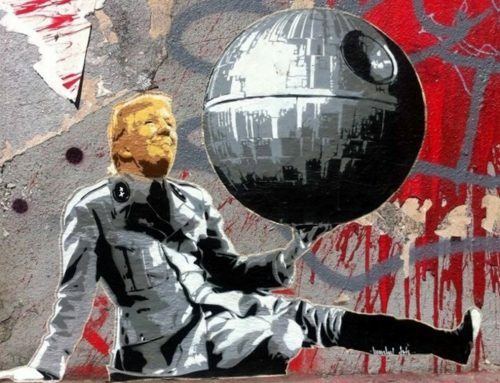 Let us do the work! Colonia Aktiv specializes in company outings and corporate cycling events. 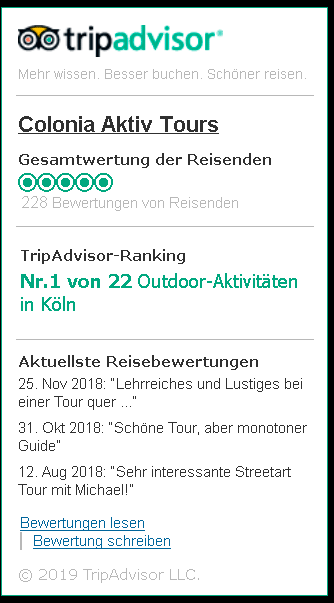 The introductory tour “Fascination Cologne”, the bestseller of our company, is very popular with tourists and Cologne. Through the in-house “ruud-know” bike fleet of specially branded bikes, Colonia Aktiv is able to organize company outings and incentives. 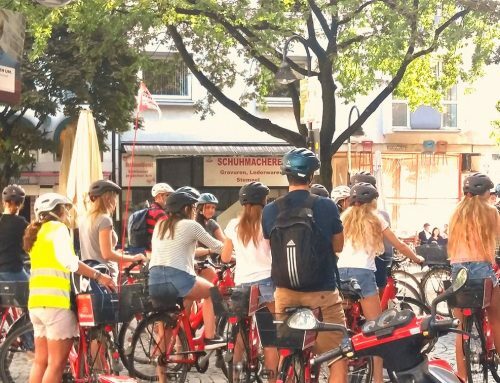 The range extends from the introductory tour through the Kölsche Riviera Tour to individually designed bicycle tours. 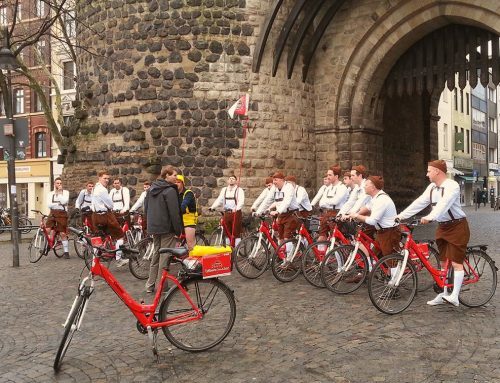 The offer is not limited to Cologne – in the past, our bicycles were also used very satisfactorily on company trips in the wider surroundings of Cologne. We are happy to take over the delivery and collection of the bicycles. 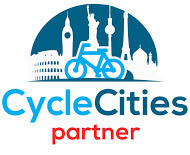 You will find in our offers thematic bike tours but also tours by bike, which is mainly about cycling. You have time to talk with colleagues or to enjoy the surrounding area and the ride. We make your guests mobile during conferences in Cologne. 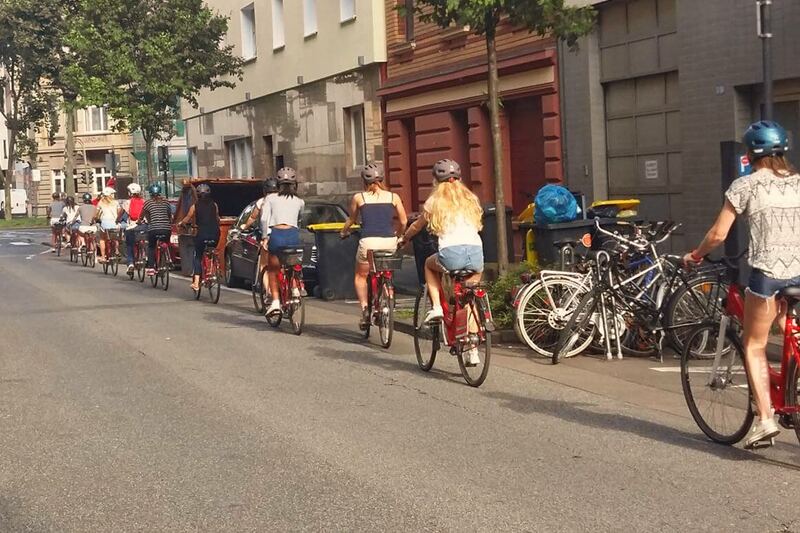 Surprise your guests by providing you with a fancy bike to cycle from the hotel to the fair or the conference and explore Cologne on your bike after work. 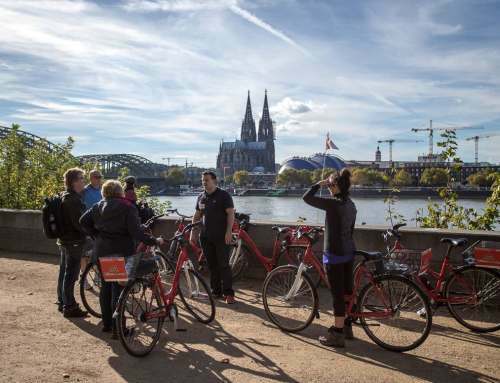 Enjoy classic sightseeing on our bike tours with fascinating stories about the most beautiful places in Cologne in combination with a leisurely bike ride along the Rhine and through the green of Cologne. We pass for example the Dom, old town and the Rheinauhafen. With our Croozer-Carrier it is possible to take snacks and drinks with you on the bike tour and plan a break of your choice. Drinks and smaller snacks can then be served at a location of your choice. We are happy to pick up the bikes at a restaurant of your choice, if you want to end the bike ride there. Whether City Tour, City Ralley as teambuilding, Customer Event or tour guide along your desired route. We are happy to advise you on an individual offer suitable for your project and group size. For a moderate surcharge, we deliver our city bikes when you want to your desired location or pick up the bikes at the destination of your tour.